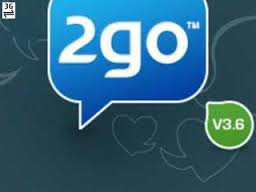 2go is an SMS messaging service for Java mobiles which allows you to send SMS messages for free anywhere in the world. 2go runs on any phone that supports Java including Android. 2go also connects to other chat networks including Facebook and Google Gtalk. Apart from sending free SMS messages, you can also purchase 2go credits which give you access to additional features in the application such as chat rooms, styles, star levels, competitions and games. The 3.6.0 version is one the latest Version of 2go mobile messenger. 2go app is likely to be one of the few apps that connect, socialize and exchange vital information at a cheaper tarriff with friends, and i guess that must be the reason why it is enjoying so much patronage. The newest version of 2go mobile messenger comes with new smileys, some Chatroom Bugs + New Exciting Features. You can enjoy chatting with the newest version of 2go, exploring 100% of its new features. To Download 2go 3.6.0, you will have to visit their website at http://www.2go.im/ using any phone that supports Java including Android. Info: 2go even allows you to send free SMS messages to mobiles from your PC - simply go to the 2go website, enter the country and mobile number you want to send to and your 2go password. Enjoy Chatting On 2go with new feature! Our next post will be on other newest released version of 2go.